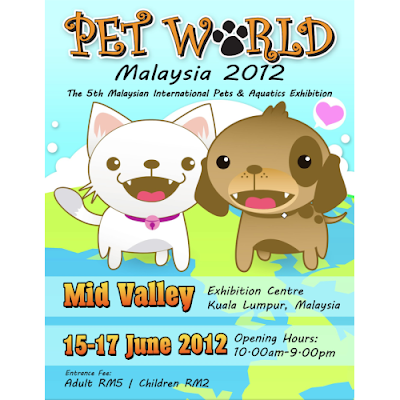 The annual PetWorld held at Mid Valley had never been missed by me for five consecutive years since it first launched. Every year Pet-n-You team will be organizing the Agility and Obedience Trial for dog sport enthusiast, such as yours truly. Together with Pacco, the two of us had never missed an agility trial that was held here. This year due to Pacco no longer being allowed to take part in Basic Jumper, we signed up for Jumper with Weaves and Novice Agility. 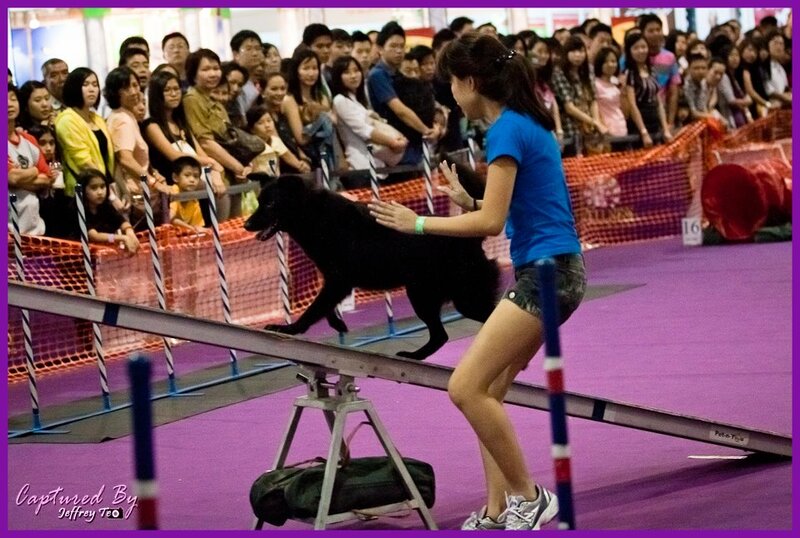 It had been a long time since we actually practise on equipments such as A-frame, dog walk and see-saw. But I'm confident that with Pacco experience as a senior dog, she remembered all her old tricks. We only reached Mid Valley at 4pm and the timing was just right, as the organizer way laying out the course for Novice Agility. Pacco performance for the day was great and I can never hope for a better one. 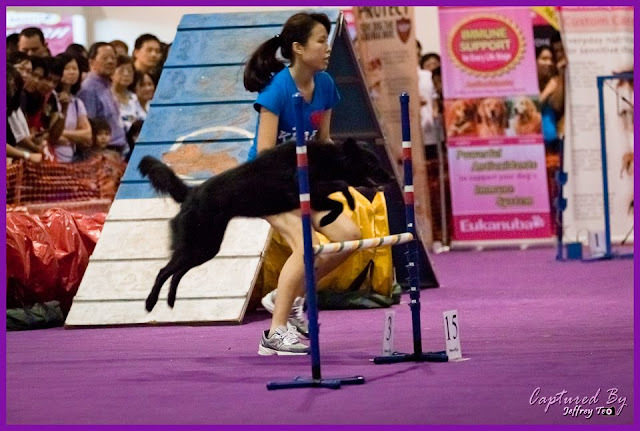 During the first run, she made a couple of mistake and go off course, but during the second run onwards, she gain the momentum and we bag the 2nd placing for Novice Agility. This is the first time we qualified for a full course run with two faults. I'm so proud of my girl. 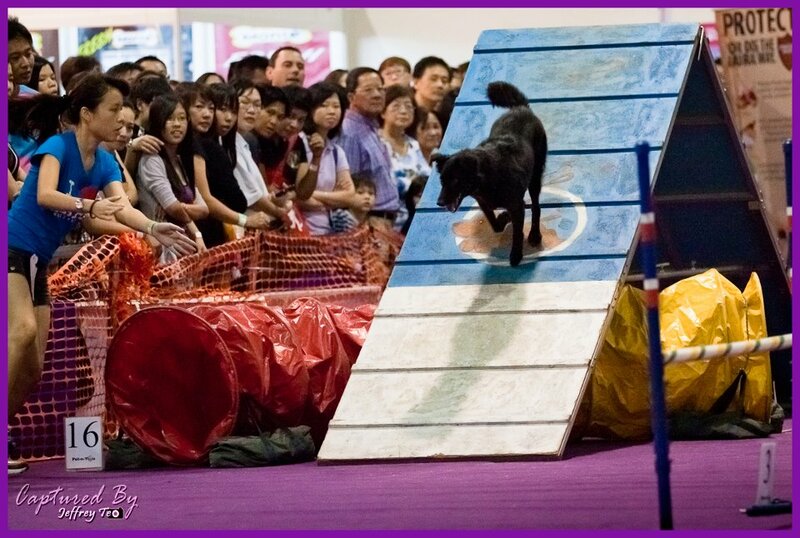 Later on, we got 4th placing for Jumper with Weaves with one fault. Special thanks to Jeffrey Teo for all the nice shots of Pacco.